We survived another week. This week started off rocky with some stomach issues and cold weather, but now it is beautiful and we have a fun weekend ahead. Well I do. Hopefully Rory and the girls make do without me. Which leads me into my Friday Favorites. ONE. This weekend I am leaving on a jet plane, not really, but a car to go to my sister's Bachelorette party. I am the oldest one there, so I hope I can still hang with the younger kids. But really, I am super excited to celebrate my sister. We have a lot planned starting tonight when we arrive and all the way through Sunday early afternoon. I would tell you more details, but she reads here and I don't want to spoil all the fun. But check out my IG this weekend for fun updates. TWO. We bought another car. Yep. I am soooo not one who buys cars all that often. I feel like I haven't had that many cars in my driving lifetime (20 years counting my learners permit), but when I count them it sounds like a lot. I had my first car which was a Honda Prelude. I had that less than a year before my dads friend sold me his Toyota Tacoma. I had that truck for a long time and I didn't want to get rid of it. But someone crashed into me in the snow and that was it for my truck. We got it repaired, but my dad thought it was best to sell it. I had my Tacoma for about 7 years. Then I got a Trailblazer. I had that SUV for 8 years. I sold it not long before I got pregnant with the girls. I bought my first new car which was a Subaru Legacy that I had designed (custom built). I had that car for three years when we decided that we needed a bigger car because we wanted more kids. I then leased a Toyota Highlander for a year. We decided a lease wasn't a good option for us AT ALL since we drive too much and needed to get out from under it. Since it was the end of the month, I had relatively low miles (compared to the US average) and was not upside down in the car, we decided to trade it in and get a new car. We had researched cars for a couple of months now, but ultimately decided on the Honda CR-V. It is a small SUV, but has soooooo much room. So many of the cars and small SUVs have no room in the backseat which isn't good for toddlers in the massive car seats. But not the CR-V.
We felt the Highlander was too big, a gas hog when you commute 60 plus miles a day and the third row is never used. Growing up, my dad had a truck and my mom had a full size car. It was plenty of room for us, even when we had friends over. So we decided to get a small SUV. That way we still have room, it gets way better gas mileage, is taller than a full size car like my old Subaru and was a great car for long term. I would have liked to go back to a full size car, but I love the height of the SUV when you had toddlers to put in car seats. And I plan to have this car for a long time. Hopefully 8 to 10 years. I didn't get a photo of it yet as I am picking it up today from the shop. I had side molding and a few other things added to it. THREE. I need your help. My sister's wedding is in a month-ish and I am starting to look at jewelry for it. For me. She has hers covered already. My dress is a darker purple and I have dark gray block heels to go with it. 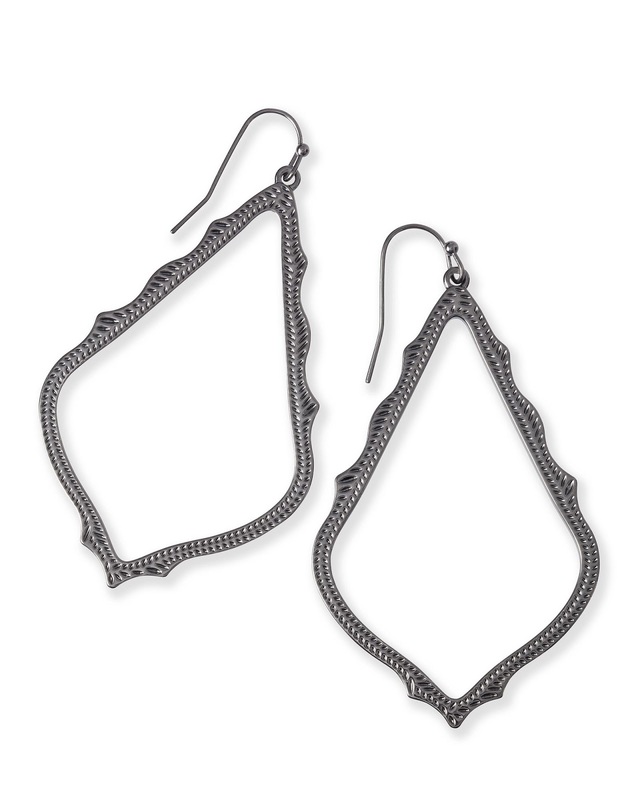 I have narrowed my earrings down to these two (below). 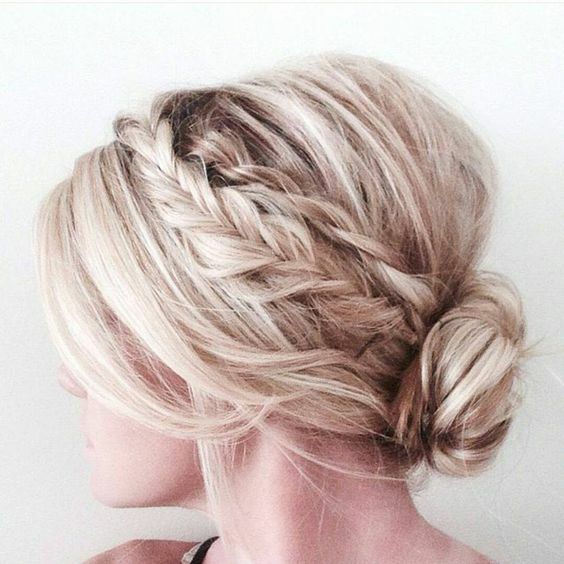 My hair will be up in a romantic, braided style updo. Something like this. 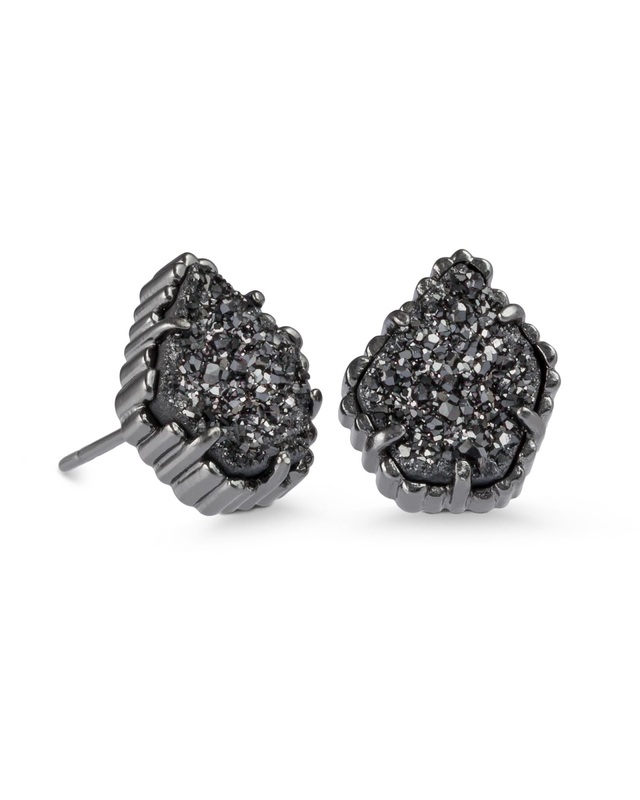 Which earrings do you like best? I will buy them next week based off the feedback I get. FOUR. Christina from Carolina Charm did a post recently where she talked about her favorite go-to meals along with a FAQ. 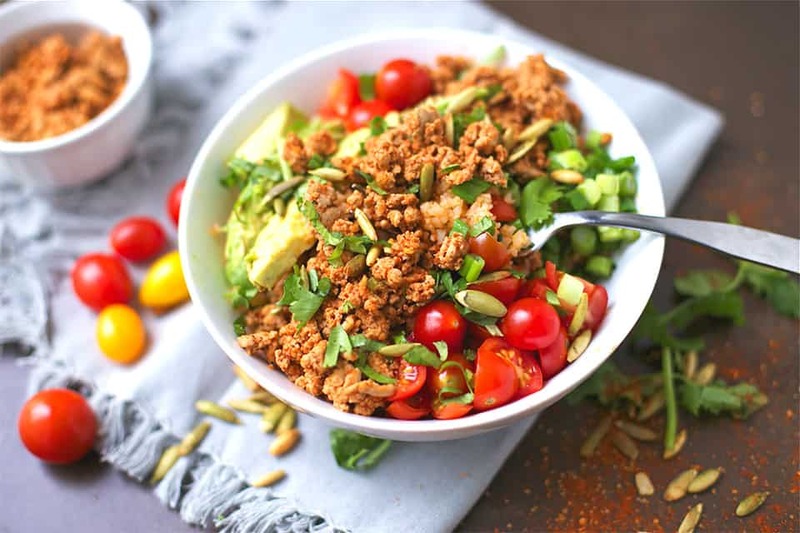 She mentioned that one of her favorite meals was a taco bowl with a Spanish cauliflower rice. It is healthy and you have the option of using turkey or ground beef in it. Even though I had my fair share of Mexican lately, I decided to make this this week. Oh my goodness. Seriously so much flavor and we LOVED the cauliflower rice. Even the girls ate this dish. I made it with ground beef because I don't like turkey tacos (but turkey burgers and spaghetti, sign me up). We topped ours with grape tomatoes, avocado, a bit of cheddar cheese, green onions and a splash of Chalula. We even had the leftovers for lunch the next day and it reheated well. Just put your toppings in mini bags. FIVE. I am so sorry if I have been behind on my commenting, blog reading and getting back to you all. I am still reading blogs daily, but sometimes I don't get back to comment on it for a few days as I have been busy at work. I do a lot of my blog reading in the morning when I get to work or on my breaks, but I have been pretty slammed with a case and I have slacked. But I am trying to catch up. Please don't think I am ignoring you or your blogs. That taco bowl looks delicious! It's the easiest and quickest type of dinner to make. Have the best time at the bachelorette, I can't wait to hear all about it! I choose the Sophee! It is sooo good, easy to make and way healthier than the normal ones I make. The cauliflower rice is my favorite part. Thank you much. I will definitely post on IG. Another Sophee choice! Have a great weekend Amanda. I loved hearing about your car history! It's funny how each car we have fits with us for that period of time. I can't wait to see pictures of the new CRV! As for earrings, I think my vote might be for the Tessa because that hairdo is so beautiful and detailed I wouldn't want anything to detract -- but both styles are pretty. Have a great weekend momma! You ad me at Bachelorette Party...woohoo!! Have fun girl and live it up! Gimmie a taco bowl and a braid I'm happy, lol!! Have so MUCH FUN!! Haha. I can't wait for the girls weekend. I will definitely live it up. The taco bowl is amazing. You need to try it!!! Oooo your weekend is going to be FUN!!! Ahh I like both earrings but Tessa is speaking to me more. That recipe sounds right up my alley especially since I'm on a cauliflower rice kick right now! I will definitely have fun. Tessa is really pretty and I have a necklace from there that matches it. Glad that my car tips might help you!!! Have a great weekend! get the Sophee, so cute. I need to try the recipe. Funny you don;t like turkey tacos. Have fun this weekend! Have sooooo much fun at the bachelorrette trip. Celebrating those you love is the best! I think Sophee would be your best bet, more of a statement piece and will be pretty with a flowy updo. I vote for the first set of earrings! I've been driving my CR-V for almost eight years now and I still love it! Hondas are GREAT cars and they will hold up forever if you take care of them. I am itching for something new now, though, because I didn't get the backup cam/bluetooth/dash monitor so it feels outdated technologically. That's my only issue with it. I think I might get a Honda Pilot next! Enjoy your weekend! Y'all are going to have so much fun! That taco bowl sounds like something I should try! I think I like the first earrings best. Congrats on the new car! Yay for a new car! We have an old CRV and love it! That taco bowl looks yummy. Off to check it out! Loving all the crv love. Seems like we picked a good car. The taco bowl is a newly weekly favorite. We just tried cauliflower rice in a chicken and rice dish this week! I'm gonna have to try switching our rice to cauliflower rice. Sounds delicious! Oh you are going to have so much fun in the wedding. I can't wait to read about it. I vote for the dangly earrings, super cute! I hope the bachelorette party was a huge success! Can't wait to hear about it. Hope you had so much fun at the bachelorette party! I have been blog slacking too, life is crazy! I love the updo and vote the dangly earrings.